Police declares IBB’s spokesman wanted – Royal Times of Nigeria. 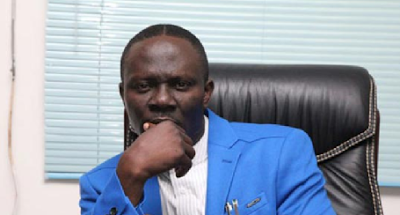 The Inspector-General of Police, Ibrahim Idris, has declared IBB’s spokesman Kazeem Afegbua, wanted over the statement he issued on behalf of former military president, Ibrahim Babangida on Sunday, which the ex-president has denied. A statement from the Force Public Relations Officer, Jimoh Moshood reads; “The IGP has ordered the arrest of Kashim Afegbua for making false statements, defamation of character and for an act capable of instigating public disturbance throughout the country.